British troops at the Oude Kraan corner Bergweg in Arnhem, 12 april 1945. This location is so much changed it’s not reckognisable anymore. September 19th 1944. 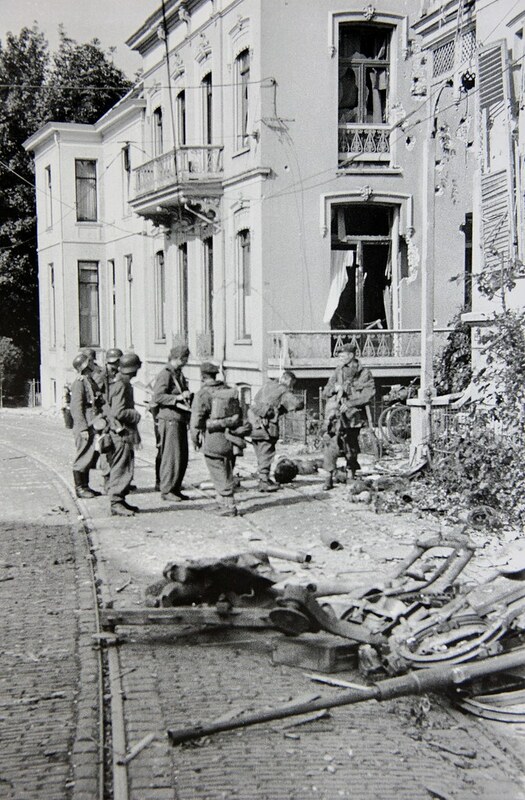 German Panzergrenadiers in Arnhem at the Utrechtseweg. German POWs are marched back past a Churchill AVRE during fighting inArnhem, 14 April 1945. A Sherman Crab flail tank before central station in Arnhem, 14 April 1945.